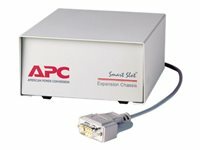 The UPS Interface Expander 2 (AP9624) from APC by Schneider Electric provides two additional computer interface ports for a UPS equipped with a SmartSlot™ accessory slot. 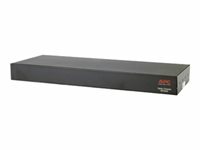 This enables the UPS and your power management software to provide a graceful system shutdown for up to three network servers or other devices during an extended power outage. The Interface Expander 2 draws power from the UPS in order to monitor the UPS and report power conditions such as on-battery and low battery events whether the UPS is receiving AC utility power or not. • Mounts in all supported APC by Schneider Electric devices equipped with a SmartSlot accessory slot. • Works well in a heterogeneous network. Servers running different operating systems can monitor the same UPS simultaneously. 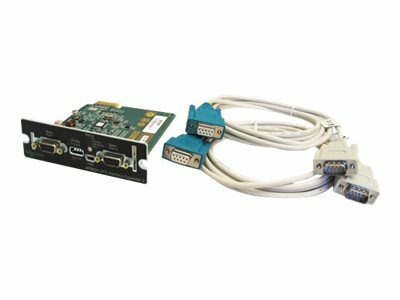 • Typically supports smart signalling on the serial port of the UPS. • Can delay shutdown of the UPS until all servers have shut down gracefully. • Has operating modes that cause the UPS to shut down after confirmation from all protected devices or after an interval set by the user. • Does not depend on the operation of the network to protect connected devices. 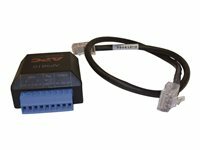 As a hard-wired accessory, the Interface Expander 2 reliably conveys important status messages during poor power conditions.